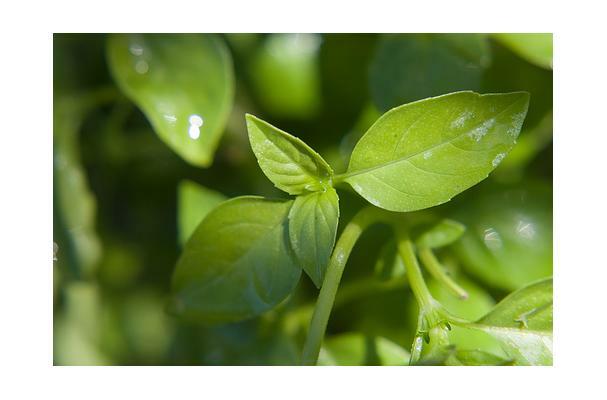 Basil or Sweet Basil has been considered to be the king of all herbs due to its captivating aroma. This herb is thought to have originated from India, but is has come to be cultivated and used in other parts of the world. Basil can be used to flavor pasta sauces and meats such as Lamb and Turkey. They are easy plants to grow and can be solely grown in pots if required. Leaves are large, oval and pointy and bright green with a warm and also fresh and strong smell. Choosing: Look for fresh, vibrant green leaves with no dark spots or signs of decay. Buying: Fresh basil is available as a staple herb at almost every supermarket year round. It is available at farmers markets in the summer months and in many home cooks gardens and window gardens. It is available dried and frozen at any grocer. Procuring: Basil originates from India. But several varieties of basil now originate from South-America. Most of the time, basil leaves are crushed with oil or torn with the fingers and chopped to add to a dish. It is also added to boiled dishes at the last minutes for added taste. Basil can also be sprinkled over salads and cut tomatoes. It is also used in a lot of Mediterranean dishes, and to spice different kinds of vinegar. Basil is the most common green component of pestos. Cleaning: rinse very lightly before using. Fresh basil leaves should be layered in damp paper towels inside a plastic bag and refrigerated up to 4 days. In India, basil is a holy herb that is planted close to temples. Basil is devoted to different Hindu gods. The inhabitants of India also chose this herb to swear their oath on in court. Greeks knew basil as a medical herb, while Egyptians made basil leaf garlands on tombs. Because it is believed that basil grew around the tomb of Christ after his resurrection, some Greek-orthodox churches use basil to prepare their holy water and also put some pots of basil on the altar. History: The name Basil is derived from the Greek word 'basileus' which means king or royal. Basil is also called kings herb. It originates from India.